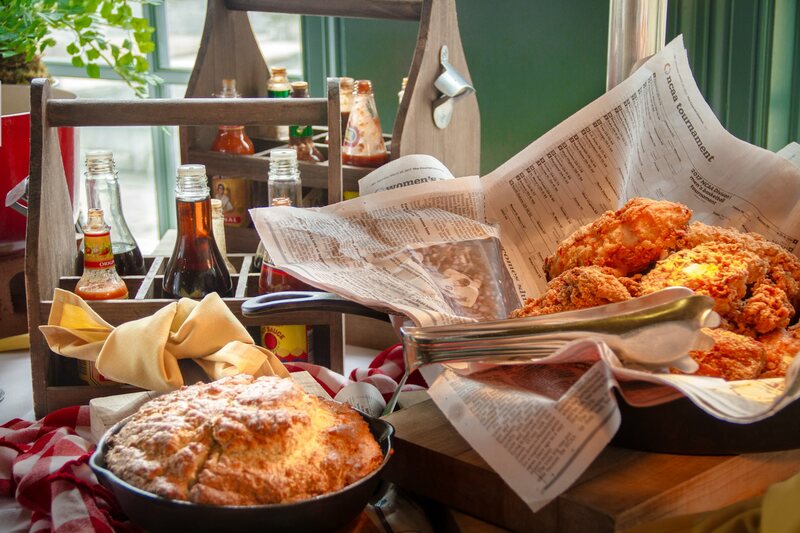 Service is always top-notch with a dash of southern charm at The Club at Olde Stone. Whether you are dining for business or leisure, we understand the value of providing first-class service and cuisine. The club has multiple formal and casual dining spaces for members to enjoy. Surrounded by golf course views, fireplaces, and warm colors, the Golf House allows for a spectacular dining experience. Olde Stone features a culinary team that is well-versed in menu planning for a wide variety of tastes. The club features specialty nights as well as a formal dining menu for members to savor. Members can enjoy our delicious Sunday Brunch Buffet every Sunday with all of your favorite breakfast items and Chef John's fried chicken. Featuring a waffle station and carving station every week. We can deliver boxed lunches, party trays and more to any member's place of business or home so they can keep working or enjoying the party!